There is a good news for all the Pakistanis who want to perform Umrah. Now they don’t need to pay additional tax to perform Umrah. No More Additional Tax for Pakistanis Going to Perform Umrah. Saudi Crown Prince Muhammad bin Salman Al Saud has agreed to remove the 2000 riyals imposed on Pakistanis last year. 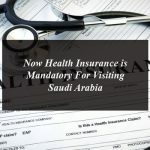 Last year the Saudi government had also announced the new Visa laws for the Pakistani Umrah Pilgrims. The Umrah Pilgrims need to get biometric verification before applying for the visa. Saudi Arabian government has posted the additional taxes for Hajj and Umrah pilgrims from Pakistan. 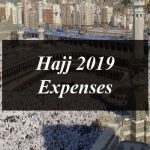 The people who was to perform and Umrah twice in a year will have to pay the amount of SAR 2,000. PM Imran Khan took up the matter with Saudi establishments on which the Kingdom of KSA has waive off the additional tax fee for Pakistanis. The Secretary of Religious Affairs has revealed that the crown prince agreed to end the tax of 2000 SAR on Pakistani pilgrims upon the request of Prime Minister Imran Khan during his recent visit to Saudi Arabia. It is important to mention here that the Saudi government is conducting tax of Rs.2,000 SAR from Pakistanis who were performing more than one Umrah within two years. 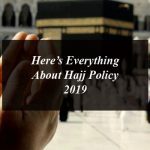 The good news is that now they don’t need to pay the additional tax on performing Umrah. Saudi Arabia has always been a great friend of Pakistan and the visit of the Prime Minister of Pakistan Imran Khan has proved to be very helpful for the country in an effort to make the both countries relationships better. 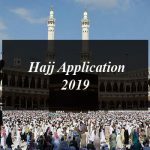 The secretary also stated that the ministry of religious affairs will begin the preparation for Hajj operations 2019 in January. Some members of the committee criticized the Prime Minister’s move saying that this abolition of tax will only be helpful for the few people. There is a good news for all the Pakistanis who want to perform Umrah. Now they don’t need to pay additional tax to perform Umrah. No More Additional Tax for Pakistanis Going to Perform Umrah.